Politics aside, American Airlines/AMR has asked for and received concessions from its unions. The company is using bankruptcy as a tool to break its current contracts. Employees will be moved from pensions to 401(K) plans – the kind that Wall Street loves to serves. There will also be layoffs. One of my clients has worked for this company. She has lost half of her pension and hasn’t had a raise for the last few years. It leads one to ask: Is American Airlines financially bankrupt or morally corrupt? Update: The number of employees being cut by American is 13,000. The "lucky" employees who keep their jobs face steep cuts in salary and benefits. Don't listen to cliches about job creators -- large corporations only care about more and more profit. People mean nothing to them. This week’s post will be short. 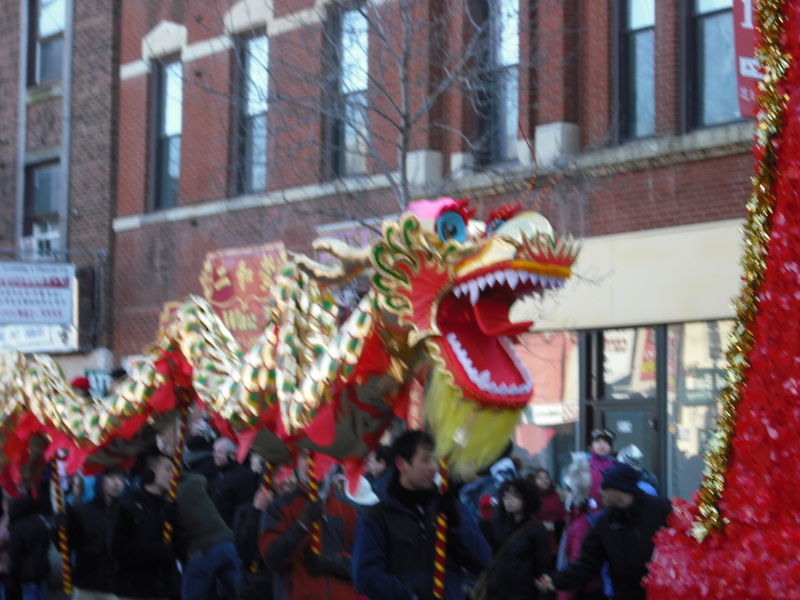 I’ve spent the past two days at Lunar New Year’s parades on Chicago’s north side (Argyle Street) and south side (Chinatown). 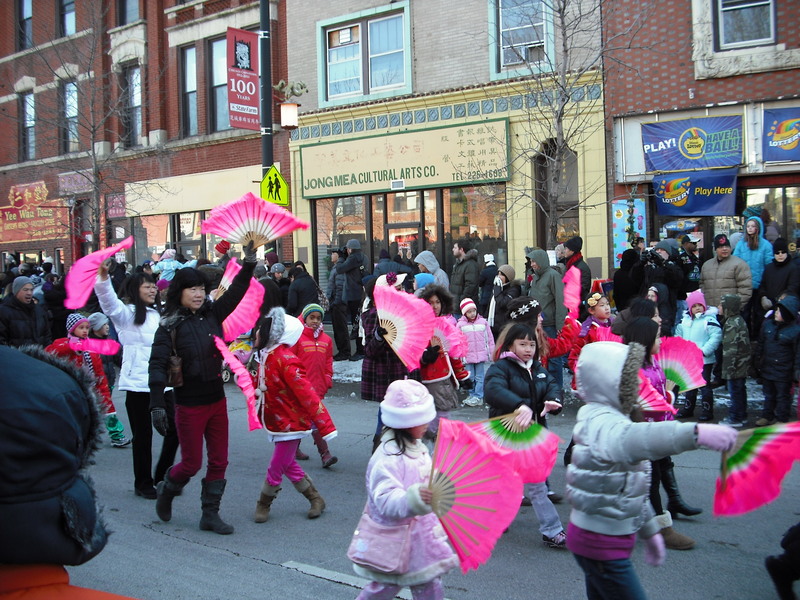 The south side parade is much bigger and takes place in a community where Chinese-American business cover several blocks. 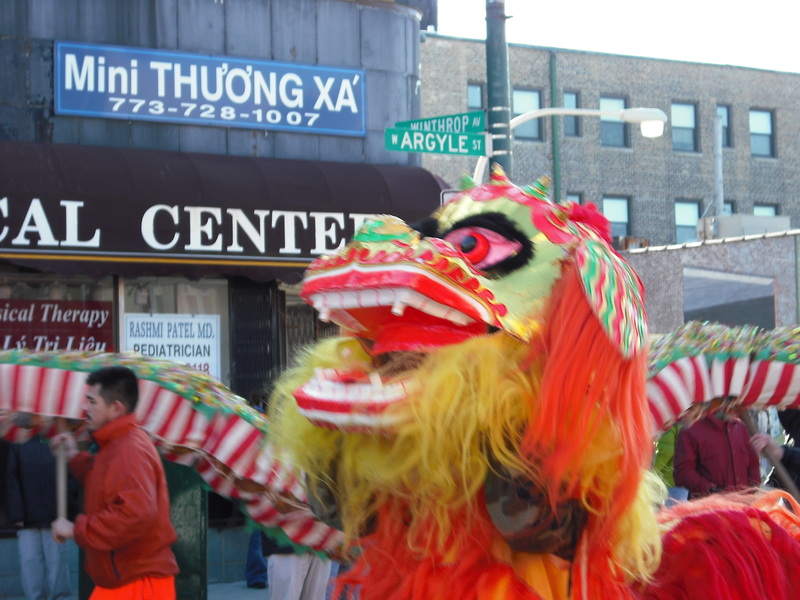 While it is smaller, the parade on Argyle Street marks the vibrant businesses on the street, many of which are owned by Chinese-Americans and Vietnamese-Americans. Watching these parades is a joy because the people in the parade and the people in the crowd are from all walks of life and ethnic backgrounds. The people standing on either side of me today were speaking to their children in Spanish and Polish. Many of the young people marching in bands at both parades were African Americans. If you’re in Chicago, check out these parades next year. 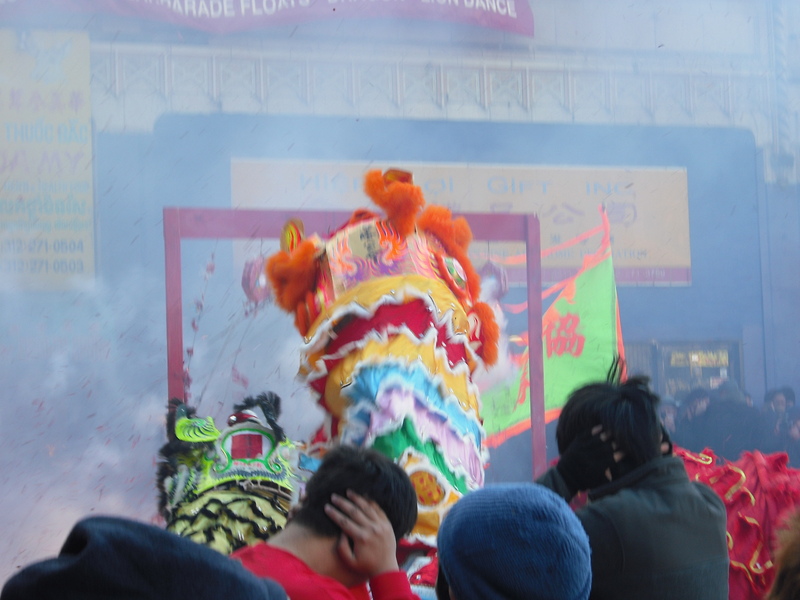 If your in a city with an Asian American population, see if there is a Lunar New Year parade. It’s great fun. MSNBC’s website has a story on the increase in factory jobs. I really like the chart that accompanies the story because it shows how significant the U.S. economy has been affected by factory job loss since the 1980s. What I don’t like about the story is its simplistic political angle. Clearly, unemployment and other economic factors will impact how Americans vote for President and other offices in 2012. However, the loss of factory jobs and their possible comeback is a serious story in itself without any references to the soap opera of politics. The story also does not consider factors like the cost of shipping and inflation in China that are making manufacturing in America an option companies will consider. Left-right politics always enables a writer to craft a simple story that is easy to understand and often controversial. American working people are facing tough problems. They deserve better from the media. A few days ago, The Chicago Sun-Times published a chart on unemployment rates for college graduates and a short article on the “edge” liberal arts majors enjoy. The overall rate of unemployment is 8.9%. The rates for liberal arts majors is a little higher, 9.2%. The accompanying article informs us that liberal arts graduates with strong analytical, reasoning, and writing skills are more likely to be hired. What the article doesn’t say is that students who major in science and business are less likely to be unemployed. The two majors with the lowest unemployment were elementary education (4.8%) and nursing (4%). What’s the take away? Don’t get caught up in statistics. Whatever major a college graduate has, she faces a challenging job market. Rather than focus on macro statistics, the best way to find a job is to identify the skills you have that employers want. Control what you can control, and use your time to pursue jobs, not bad news. Terms come and go in the job search world. The one thing they have in common is their ability to scare people looking for a new job. An example of this would be “the hidden job market.” No job is ever “hidden.” Your access to that job might be limited or – if a company is hiring internally – it might be impossible for you to get certain jobs. To conduct an effective job search, you need to find different ways of looking for work. The first step I recommend is networking. People who know you and respect your skills are more likely to promote your skills. Your network connections might also point you toward types of work and companies that you had not considered. Remember that networking is a two-way street. Look for ways to help people who you want to help you. Track industry and company news. Know where your skills are needed and track job openings at companies in those industries. If you know that a company is growing, it is likely that they will be hiring. Tracking industry news will let you know which companies are growing. That’s a great starting point for your job search. Use the job boards effectively. Look at several job boards, not just one. Some of my clients have even had luck posting their resume. However, many others have been deluged with invitations to apply for low level sales jobs. If you post your resume, be ready to deal with junk email. Also know that posting is a passive way of looking for work. When you are looking for a job yourself, that is an active job search, which is the way most people find work. Online networking is another way to look for work. The most common and best way is to use your LinkedIn network. If you’re looking for work and you’re not on LinkedIn, it’s time to join and bring your professional network on line. Some people are also using Twitter and other social networks as ways to engage potential employers. For executives and employees with high demand skills, recruiters may be a good way to look for a new job. Keep in mind that working with a recruiter is a passive way of looking for work. If a recruiter finds a client that she thinks is better qualified than you, she will promote that other client. You need to maintain an active job search even if you are working with a recruiter you trust. One of my clients asked me to review a cover letter. It was three pages long and did not address requirements of the job posting, skills and experienced that my client possessed. What was the problem? My client is changing careers, and she is talking too much about what she has done in the past, not what she wants to do in the future. The letter focused extensively on her background in sales and training. However, the position she was pursuing requires strong communication skills and more of a focus on customer service. With a little revision, I was able to adjust the letter to show that my client has excellent writing skills and knows how to make clients happy by solving problems. She is well qualified for this position. A career change is always difficult. However, it’s impossible if you can’t show potential employers how you are qualified to do the job. Most jobs give us transferable skills that are the key to any career change. Learn how to play up those skills and present them in a way that makes an employer call you to schedule an interview. The past week has been very bad for experts, especially those who make predictions. Last Sunday, the Green Bay Packers lost the New York Giants. The experts have spent most of the season calling the Packers the favorite to win the Super Bowl. The New Orleans Saints, the team that many experts said had the best chance to beat Green Bay, also lost. Yesterday, former Speaker of the House Newt Gingrich defied the experts by winning the Republican Presidential Primary in South Carolina. A week ago, polls had him losing to Mitt Romney by margins of 5% to 20%. Gingrich won the election by 13%, and now the experts will begin to tell us what will happen in Florida in 10 days. Who will win the Oscars? Really, who cares? We are a society obsessed with predictions, ignoring how often “experts” are wrong (Who picked the St. Louis Cardinals to win the World Series?). The same principle holds true in business and investing. Look back at the “hot” stocks that end up losing money for the investors who followed conventional wisdom. Similarly, many strong businesses have failed when they guessed wrong about market trends. The best example of such a decision might be “new” Coke, which consumers rejected, forcing the company to return to its “classic” formula. Why are experts wrong? In his great book Black Swan, Nassim Taleb argues that it is impossible to predict the future. Too often an unexpected event will happen – a Black Swan – that will change the path of history. A Black Swan event can be good or bad – 9/11 or Steve Jobs’ Apple computer. Rather than try to do the impossible and predict such events, Taleb recommends that we prepare for them by being “robust,” being prepared to meet the change and use it to our advantage. Experts do contribute to our understanding of the world, but we need to take their advice with a grain of salt. Ever since the financial collapse of 2008, economists, politicians, and pundits have all predicted that a new disaster is coming. They preface their forecasts with words like if and could. For example, “If another European country undergoes financial stress, the Euro could collapse as a currency, which could impact the American economy and lead it to a possible recessions.” The secret to being an expert? Hedge and qualify your predictions whenever possible. I like Taleb’s solution. Let the future happen and deal with the unpredictable when it happens. Stay flexible and humble. Don’t mindlessly follow the crowd. The stories experts tell are attractive because they make us think we understand and can control the future. It’s a nice myth, but reality and experience show again and again that the “best laid plans of mice and men”. . . Enjoy the rest of the playoffs, the Super Bowl, as well as the political games. However, if you are going to bet, think twice before following the experts. A client told me an interesting story today. Her company reorganized departments, and she got a new boss who decided to put a manager over my client who had no experience in her field and limited skills. He was taking care of a friend who lost a job. My client did something that was brave. She went to HR and protested. HR set up a meeting between her and her new boss’s boss. She stated her case clearly and professionally, no threats or accusations. Her boss notified her in writing that the new employee would not be her supervisor. She took a chance and won. This is a good story, but a rare one. Most companies don’t give employees an opportunity to protest unfair practices. In many companies, HR is seen as a means for the employer to control employees, not to listen to them. Not all companies follow this model. My client and her company are doing the right thing, treating each other with respect and listening to grievances. May more companies follow this model of mature employee relations. Writing at Common Dreams, Bill Quigley, a law professor at Loyola University New Orleans, examines 8 myths and truths about the working poor. His first point is striking: 10 million Americans are employed and still living below the poverty line. I won’t go over the other myths which can be found at this link. Too many politicians, not all Republicans, demonize poor people. Those same politicians often claim to be followers of Jesus, a man who taught his follower to feed the hungry, cure the sick, and clothe the naked. Somewhere, thinking in this country has gone off the rails. I will happily pay more taxes if they are going to people in need. Instead, our taxes are diverted to corporations and subsidies for the wealthy. We do need a revolution, but, as the Dalai Lama has said, it will not be a revolution of politics or economics. It will be a revolution of values – morality. Wikipedia and other major websites are shutting down operations tomorrow to protest two laws that will restrict freedom on the internet: SOPA and PIPA. Supporters of these bills claim that they will only control theft of intellectual property. Opponents, like Wikipedia, say they will limit online content. Internet freedom is important to everyone who uses the web, including job seekers. We need the ability to have access to a wide variety of sources, not just those approved by the government or those large corporations that buy the votes of legislators. Three cheers for Wikipedia and the other sites that are shutting down in protest. Contact your representatives and tell them that SOPA and PIPA will limit internet freedom. Postscript: Wordpress has blocked out its front page with “censored” figures - another blow struck for Internet freedom. I will not post tomorrow. Instead, I will call the offices of Senator Durbin and Senator Kirk and tell them not to support these bad laws.